Antonakos Rooms is located in the center of Monemvasia new town the so-called “Gefyra” [bridge]. 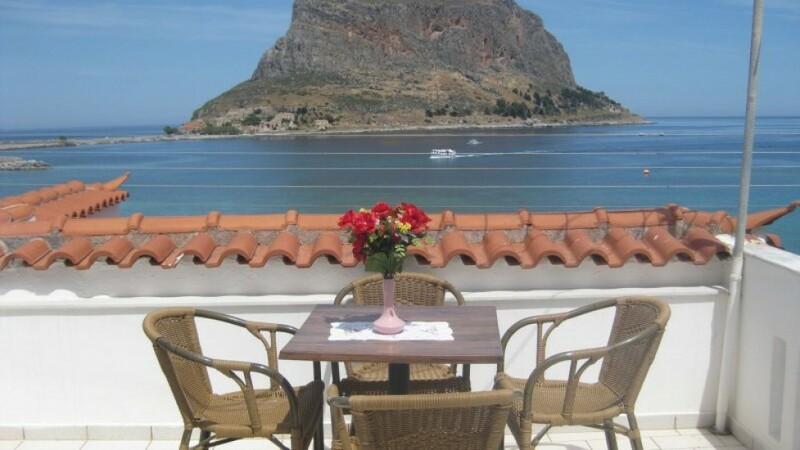 The property offers a friendly service, affordable accommodations with amazing views to the sea and the Monemvasia’s Castle [Kastro] and a wireless [wi-fi] Internet access. The rooms of Antonakos Rooms are equipped with TV, refrigerator, air condition, central heating [in winter time] and private bathrooms. All rooms enjoy large verandas or balconies with sea and castle views. Monemvasia’s Castle [Kastro] can be visited withing walking distance from Antonakos Rooms. Free parking [public] is also available.